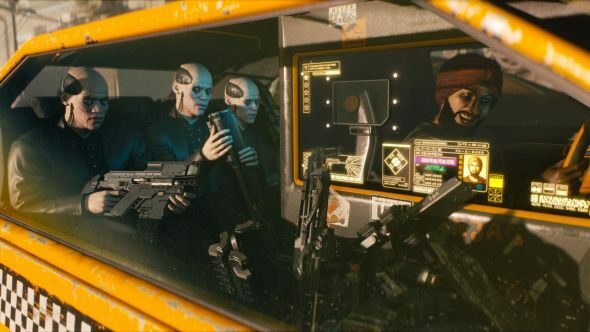 We’ve started to hear reports from the first Cyberpunk 2077 gameplay demonstrations, and they’re finally giving us a better idea of what to expect from CD Projekt Red’s ambitious new roleplaying game. Those demos occured behind closed doors, so we sadly haven’t seen it all in action, but those in attendance and the developers themselves have shared plenty. Cyberpunk 2077 is a first-person RPG. You’ll have access to high-tech assault rifles and shotguns, plus additional powers – like hacking, or hanging from walls to pounce with melee attacks. Everything happens in real-time, and cybernetic implants show you extra data on everything around you. It’s certainly got the pedigree, but will Cyberpunk 2077 be one of the best RPGs on PC? Following up those details from on Game Informer’s Andy McNamara on Twitter, in an interview with GameSpot, associate designer Kyle Rowley made clear this is an RPG with shooter elements, rather than the other way around. The emphasis is still squarely on the roleplaying. There are plenty more detail besides the perspective, of course. There’s a full character creator, three main classes, and vehicles – you might even get into a car chase at some point. We’re still some time away from the Cyberpunk 2077 release date, but we’ll keep you updated with all the new info as we hear about it.